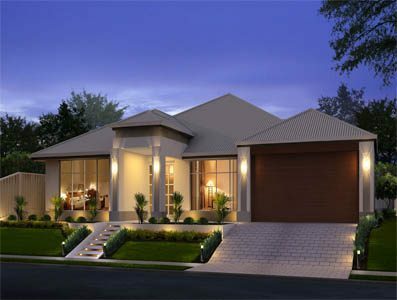 Great Living Homes offer a wide range of single storey homes to suit all types of land. 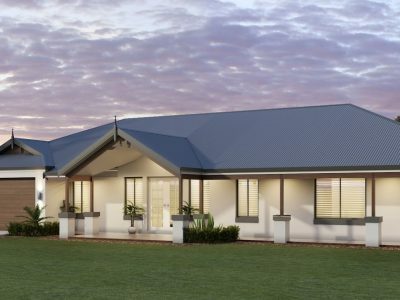 We have rural designs which typically require large blocks or large frontages, we have narrow lot designs to fit those smaller inner city or suburban blocks and we also build custom single storey homes. We can build whatever your heart desires! 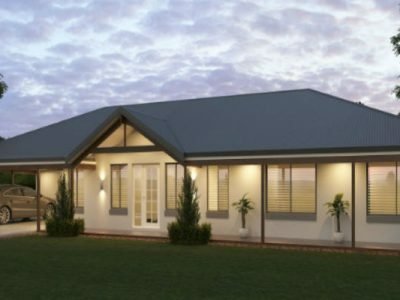 Below are some examples of our single storey designs. 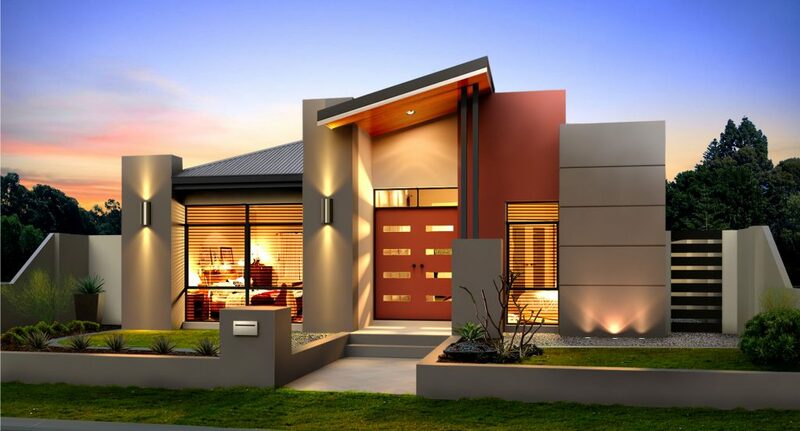 This rural design is called Principle. This home boasts a huge 270m2 of floor space and holds everything you could need on a rural property including 4 bedrooms, an office (or 5th bedroom), a theatre, an activities room, a spacious kitchen with a scullery, living room and a dining room which flows out to the rear alfresco area. 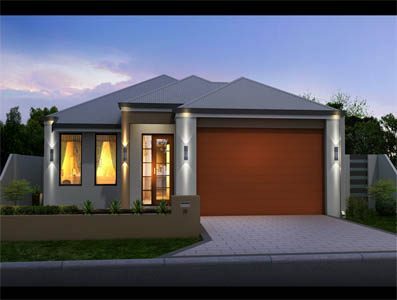 There is also a double garage with remote sectional garage door and the paved verandah wraps around the entire home. 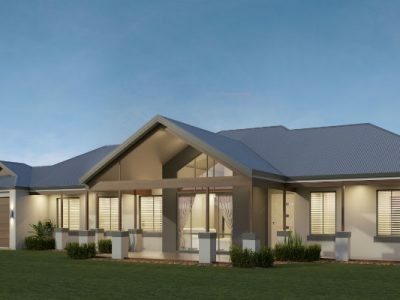 Another rural design is the Birchmont Executive with 4 bedrooms, a theatre, kitchen with scullery, laundry and bathroom as well as a family room and a dining room which opens out to the rear alfresco. 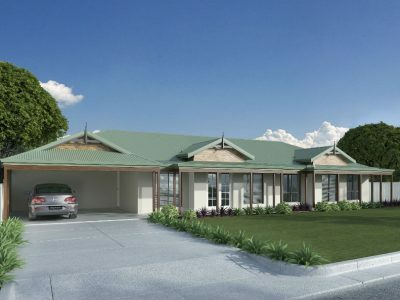 The secure garage has room for 2 vehicles and there is a paved verandah spanning the front of the home. 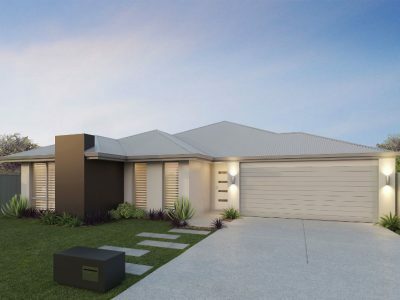 In some suburbs many single storey homes in Perth are becoming rear access sites where a laneway runs behind the street and this is where the garages are hidden. 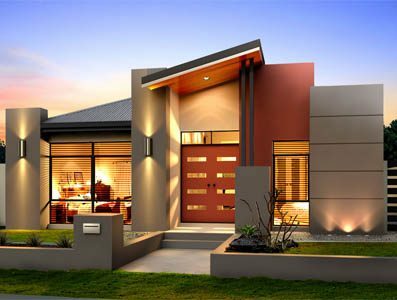 As the popularity of these types of homes has grown we have created more designs to suit these blocks, and many of our standard single storey home designs can be adapted to accommodate a rear garage. 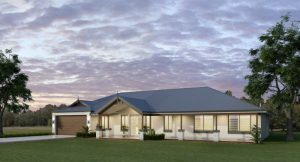 A beautiful, modern design featuring rear garage and alfresco, the Endeavour Metro also suits a narrow lot with its 12 metre frontage. 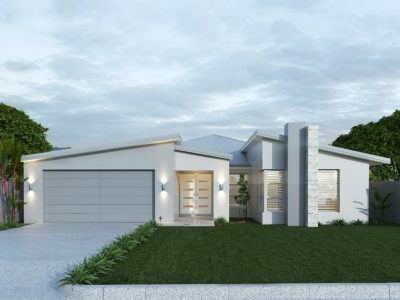 This home features 4 bedrooms, a theatre, kitchen, laundry, dining and family rooms as well as a main bathroom and an ensuite to the master bedroom. The rear sectional garage is located alongside the alfresco area and fits 2 cars secured with remote control door access. 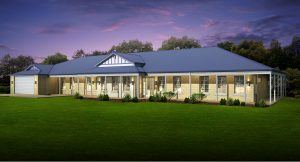 This is the Keysbrook design. 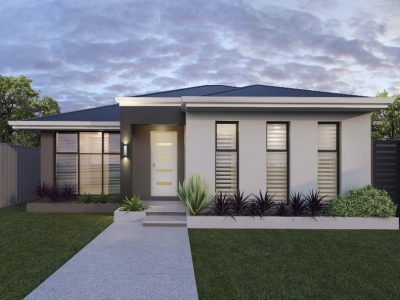 This home features 3 bedrooms with a study (or 4th bedroom), bathroom, kitchen, dining and living rooms. There is also a rear alfresco alongside the double garage and a side porch next to the dining room. 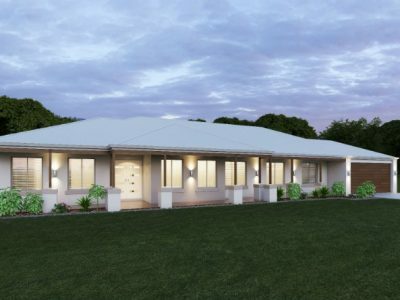 With a 12m frontage, this single storey home design would also suit a narrow lot.